Our Stonebarn Truffle Gift Hampers are a great alternative to a wine or chocolate hamper. 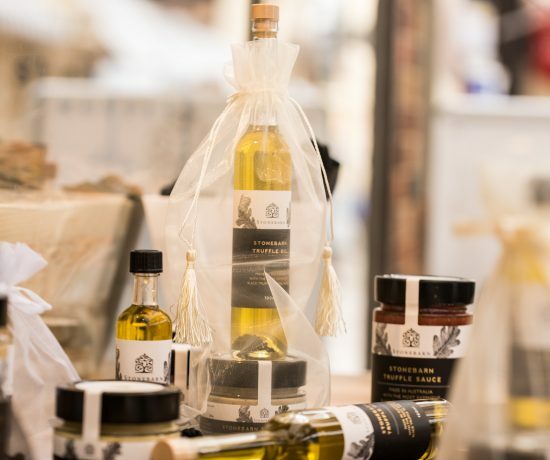 Each hamper product is infused or blended with delectable flakes of fragrant pure black truffles grown on our farm located in Manjimup, Western Australia. 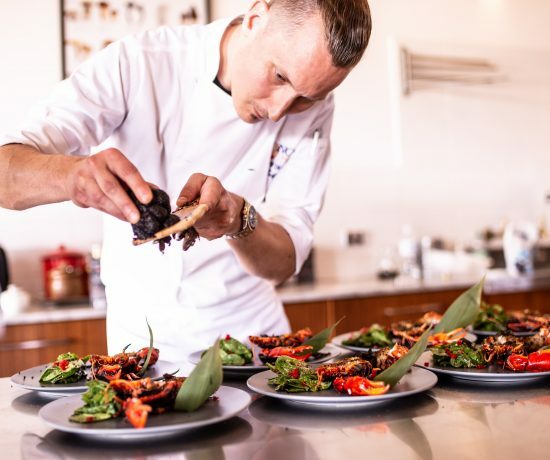 The subtle combination gives food lovers a real authentic gastronomic experience which can be savoured all year round. 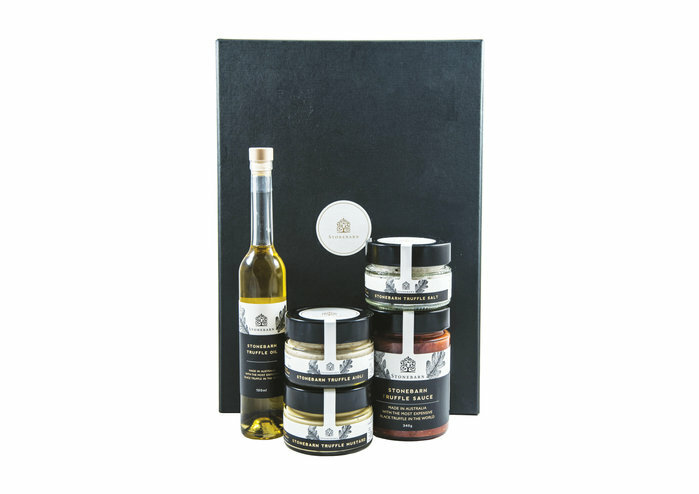 The Stonebarn gourmet truffle collection consists of truffle oil, truffle salt, truffle aioli, truffle mayonnaise, truffle mustard and truffle sauce. 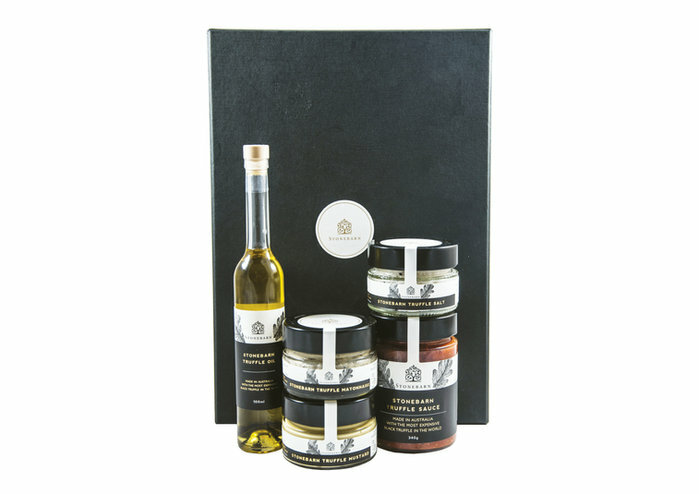 This Stonebarn Truffle Gift Hamper consists of truffle oil, truffle salt, truffle aioli and truffle sauce. 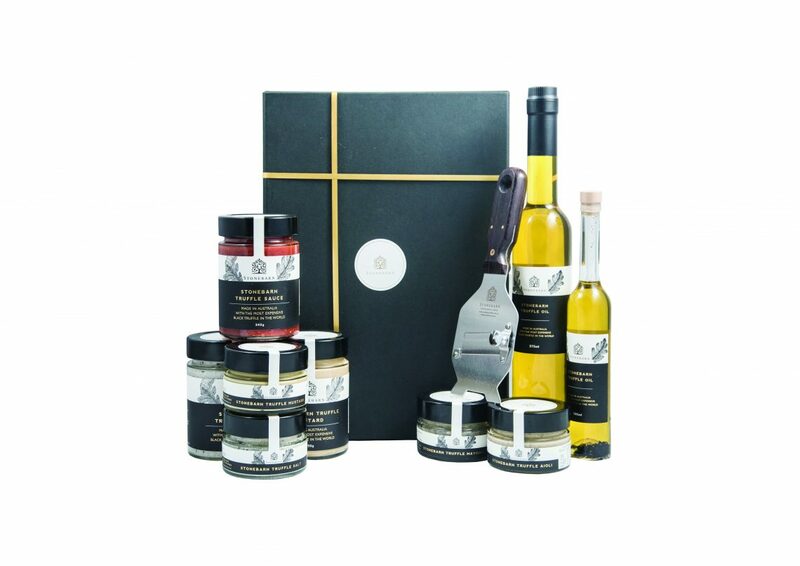 This Stonebarn Truffle Gift Hamper consists of truffle oil, truffle salt, truffle mustard, mayonnaise, and truffle sauce. This Stonebarn Truffle Gift Hamper consists of truffle oil, truffle salt, truffle aioli, truffle mustard and truffle sauce. Email orders@stonebarn.com.au if you’d like to create your own hamper (with your choice of Stonebarn Truffle Products).